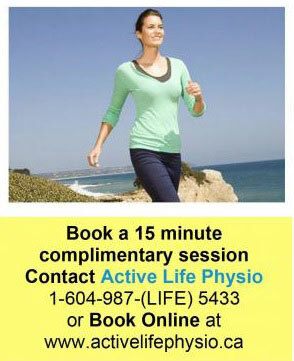 Work with your Registered Physiotherapist and Dietitian to live well- move well - eat well. "Tried all the fad diets so it was such a nice change to have a program that taught a healthy lifestyle - and help me reach my goals" ~ K.M. Do you have sore joints and find it difficult to move or exercise? Would you like to manage your weight without fad diets? Have you been diagnosed with a medical condition such as osteoarthritis or diabetes that you are finding difficult to manage? Wondering what to eat before, during and after your competition and while training? Are you trying to manage a health condition such as high blood pressure, high cholesterol or Celiac disease and just not sure where to start or maybe you feel overwhelmed with all the information available? We can help by translating the science of nutrition into practical solutions that work for you. Get a jump start on your health and wellness goals. Your eating and lifestyle habits will be assessed to identify which obstacles are blocking your success. You will learn strategies and receive re-sources, specifically tailored to your needs, to launch you on your road to success. Pay as you go: $100/hour or $60/ 30 minute follow up. If the above packages are not suited to your needs or if you are interested in a nutrition plan to fuel your performance contact us to discuss. an app for iPhone and Android. We offer grocery store tours, recipe makeovers, and meal planning packages. Many extended health insurance programs cover the cost of Registered Dietitian services; please check with your provider.